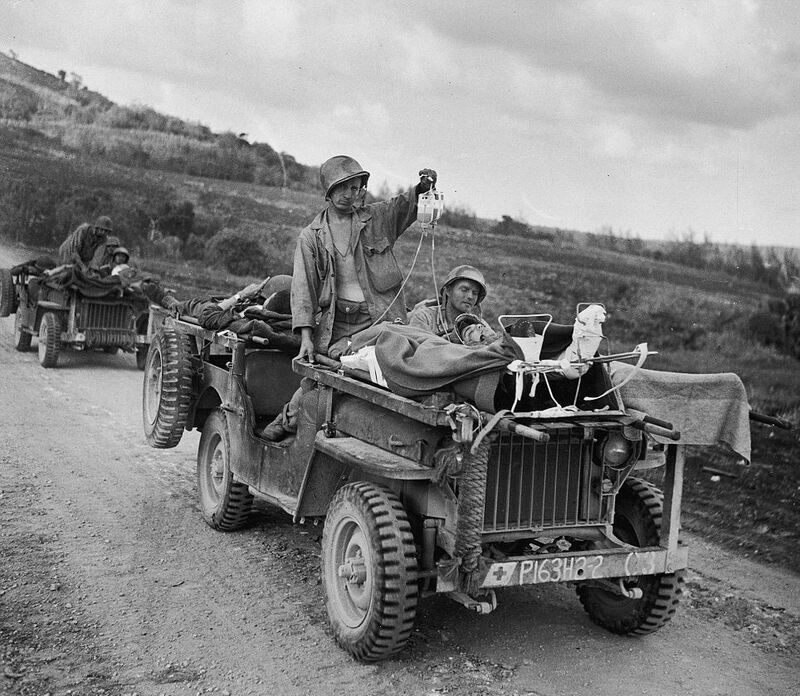 » Early production Willys Jeep heavily field modified into a litter Jeep carrying wounded soldiers and medics on Saipan, Mariana Islands, Jun 1944. This photograph has been scaled down; full resolution photograph is available here (964 by 839 pixels). Note the welded slat grilles on both Jeeps and rear extended beds with repositioned spare tires to allow stretchers to be loaded into the back. Note also the standing medic holding two fluid bottles for the two soldiers on the Jeep’s hood.